As partners in the information security community, we have all been challenged in 2017 with the onslaught of DDoS and phishing campaigns, with payloads that have included credential stealing malware, with destructive malware and of course with ransomware. We are challenged to advance our corporate strategies - balancing the risks of adopting emerging technologies with the benefits of enhancing services beyond our perimeter boundaries. Most importantly, we are expected to protect the information that our customers and fellow employees entrust us with. Financial services executives come together annually to address these challenges and more – at the FS-ISAC Annual Summit. At FS-ISAC, regulated financial services firms, relevant public sector entities, and country-level banking associations gather for keynotes and interactive sessions around the cybersecurity challenges facing the greater financial services community. Topics of discussion will include government and industry regulation, security best practices and the need for enhanced visibility. Join the delegation from Herjavec Group on-site at FS-ISAC as we participate in this industry-leading event. Abstract: Technology is constantly transforming, creating new possibilities and risks in the business world. 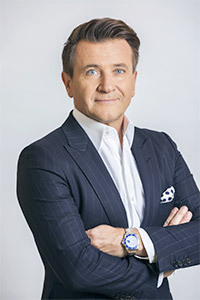 Dynamic IT entrepreneur and Founder & CEO of Herjavec Group, Robert Herjavec, will explore the evolving cyber landscape and explain how to best position your business risks at the Board of Directors level. There is no light at the end of the tunnel when it comes to cyber warfare – so how are we adapting our business strategies to face this battle head on? Robert will reveal a few secrets from inside the Shark Tank as he encourages innovative, out of the box thinking to address today’s cyber threats. Herjavec Group will also be exhibiting on site with a focus on our Managed Security Services and Identity Managed Services. To meet with one of our technical experts, please submit a meeting request below. To learn more about FS-ISAC and register for the event, please click here.